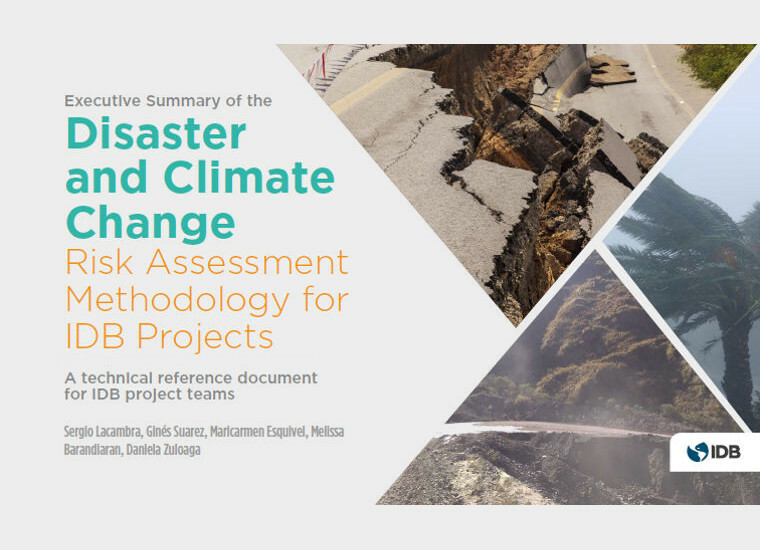 The IDB has presented and published in December 2018 a Executive Summary of the Disaster and Climate Change Risk Assessment Methodology for IDB Projects. The IDB has published this document as a technical reference for IDB project teams. This Technical Note was prepared by the IDB, with valuable input from project teams. Different experts have contributed to this report, providing their knowledge and time in the various workshops and Risk Assessments that have been conducted during the preparation of this Technical Note. Among them, Ignacio Escuder, founding partner of iPresas Risk Analysis, has collaborated with the IDB providing guidance and inputs throughout the preparation of the methodology. The document can be found in the following link.